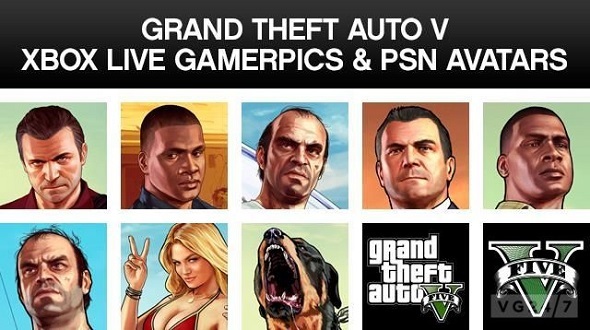 GTA 5 news: the avatars and gamer pictures are presented! If you're a fan of GTA game series, then any GTA 5 news, and especially the following information will make you happy. 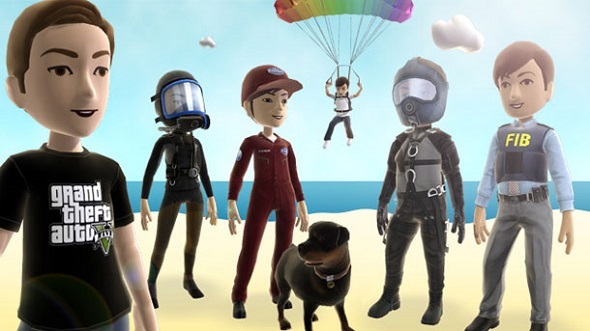 So, a set of Grand Theft Auto 5 avatars and a lot of gamer pictures are available on Xbox Live and PSN since yesterday. This set includes pics of the three main characters (Franklin, Trevor and Michael), Franklin Rottweiler named Chop, two variations of GTA 5 logo and Vespucci Beach goer. But the best is that you can purchase only what you are interested in. If you liked any avatar, you can buy it on PSN for just $0.49/£0.21/€0.25. In the Xbox Live you'll have to buy the whole set of gamer pictures, which costs 80 MS Points. In addition, the game developers have presented a set of themed items and outfits, the price of which is 320 MS Points. Among the proposed items you will find a T-shirt with GTA 5 logo, parachute and many costumes with different inscriptions. But if you need only a single item from the set, it can be bought separately, then it will cost 80 MS Points. And for those who can wait no more till the release of this action-adventure, we would like to remind that this momentous event will take place in a little more then a month.